2010 Bartlett & Spirn, P.L.C. All Rights Reserved. 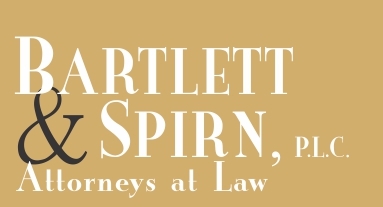 The content of this website has been prepared by Bartlett & Spirn, P.L.C. for informational purposes only and should not be construed as legal advice. The material posted on this website is not intended to create, and receipt of it does not constitute, a lawyer-client relationship, and readers should not act upon it without seeking professional counsel.